Read about our citizen complaint process for more information, including other methods for reporting incidents and the process by which complaints are handled. 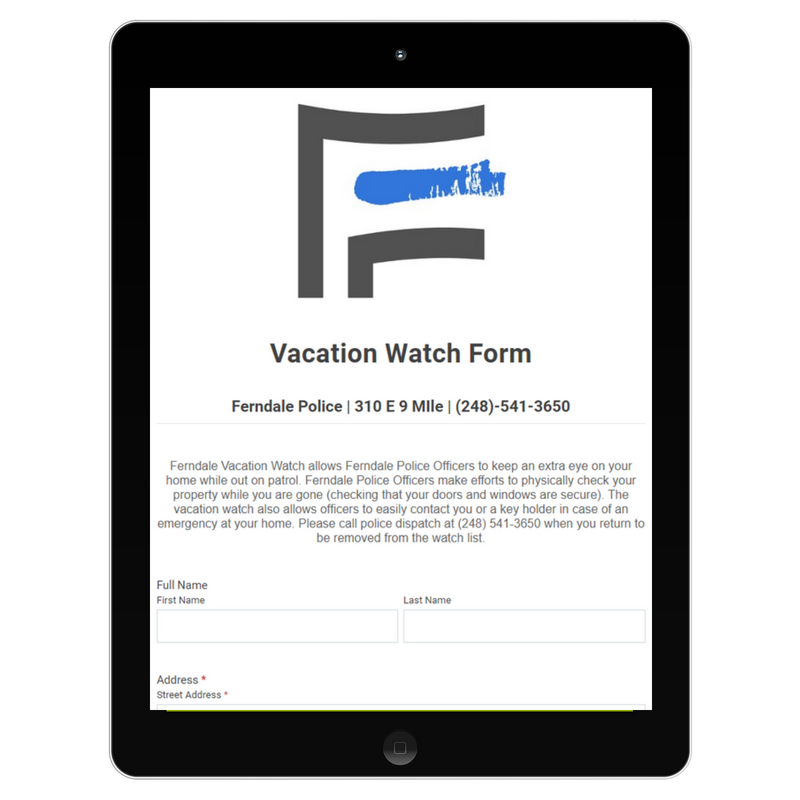 * The Ferndale Police Department doesn't require an alarm permit. For more information, or to find a form, permit, or application not included here, please contact the Ferndale Police Department at 248-541-3650.